The Kershaw Zero Tolerance model 0200ST is a non-assisted, partially serrated Military Folder knife. Is has a high quality 154CM stainless steel blade that is coated in Tungsten DLC. With a little practice one can open this knife swiftly with one hand. 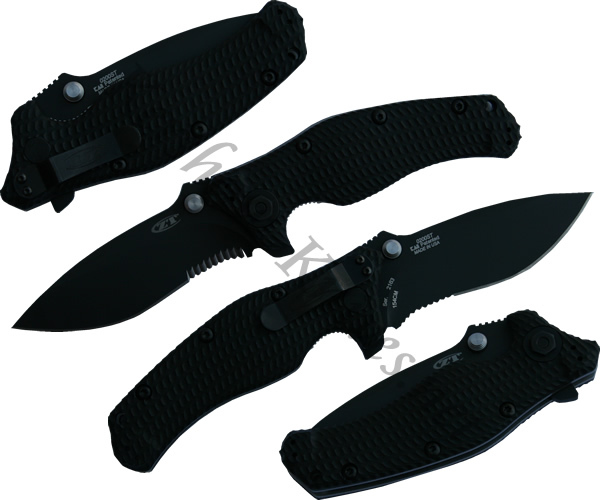 The handle has G10 overlays for good grip, and a liner lock holds and releases the blade.